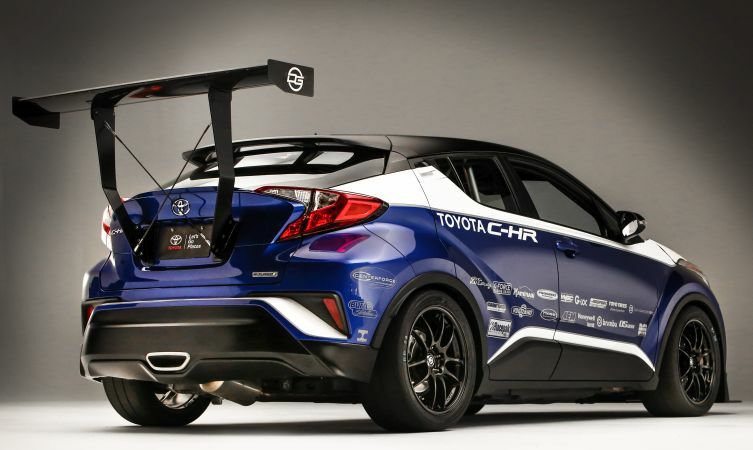 The custom Toyota C-HR R-Tuned concept leaves you in no doubt of its intentions. From its 600+ horsepower output and slick-shod footprint to its proudly imposing aero, this machine was clearly built to go fast. But it’s not simply fast in straight line. 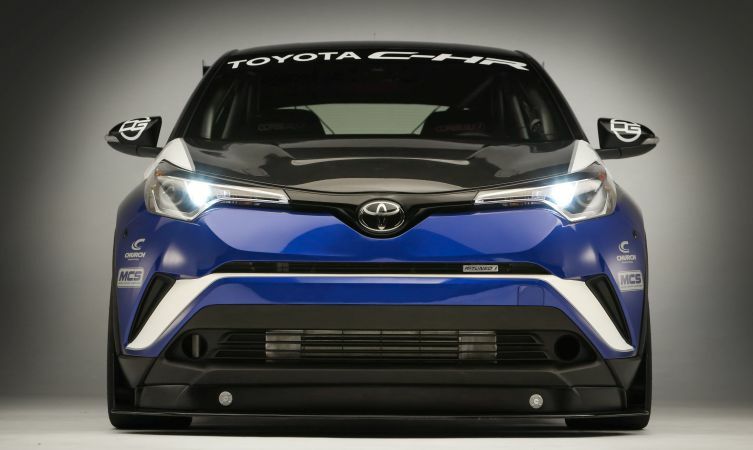 Revealed as the headline act of Toyota USA’s SEMA showcase, the crazy crossover’s phenomenal combination of acceleration, braking and handling means it pushes the boundaries of physics. It can dash to 60mph in just 2.9 seconds, produce 1.2G when decelerating and hold a tenacious, cheek-rippling 1.7G around corners. At three-digit speeds, the aerodynamic enhancements add the weight of two humans in downforce. 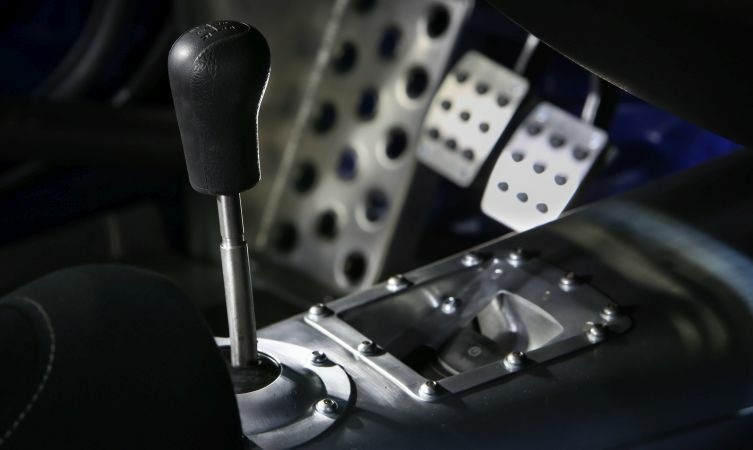 All that is enough to see off most supercars around a race track, and will likely secure its position as the world’s fastest front-wheel drive car. In fact, there is talk of shipping the car to Europe to attempt a record lap time of the world’s benchmark circuit – the Nürburgring Nordschleife. Designed and developed for Toyota USA by DG-Spec, it follows the idiom of being an iron fist in a silk glove through the installation of a powerful, boosted engine in Toyota’s sophisticated yet supremely adaptable TNGA platform. Watch an edited version of the build story below. 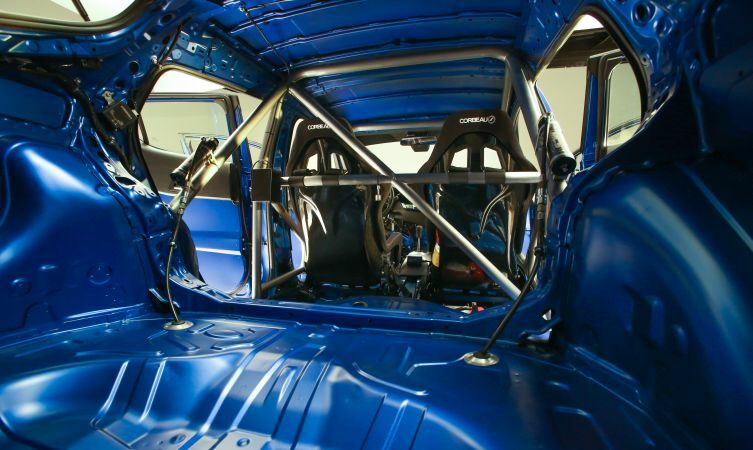 After taking a series of base performance figures, work began by stripping an unsuspecting and totally standard C-HR to an empty rolling shell in preparation for the installation of a weld-in safety cage. With the exception of the dashboard – now little more than a means of covering the bulkhead and providing a frame for the digital instrument cluster – none of the original trim has returned to the car. This has contributed to a significant weight saving, enhanced with the inclusion of a lightweight carbon fibre bonnet. 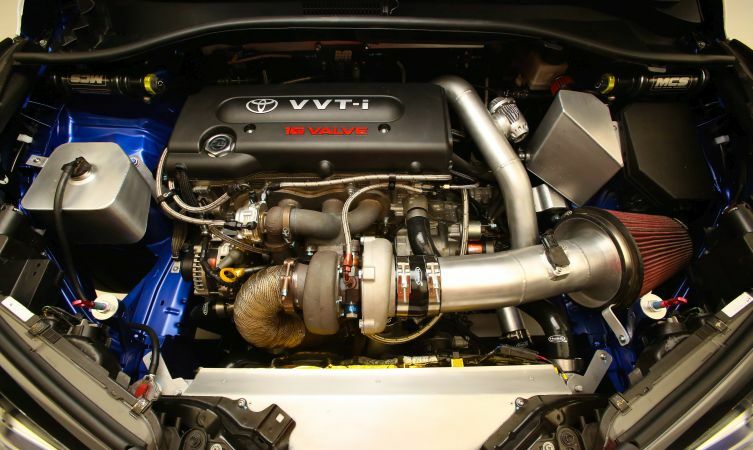 At the heart of the beast is a different yet still all-Toyota powertrain. Gone is the original 2.0-litre engine (available in the C-HR in the US) and continuously variable transmission, replaced with a 2.4-litre 2AZ-FE four-cylinder engine and E-series five-speed manual gearbox. Although well specified as standard with steel piston liners and a forged crankshaft supported by five main bearings, the new engine was additionally strengthened to handle the pressure of its custom turbo conversion. This consisted of a thoroughly reinforced valve train, forged connecting rods and pistons designed to reduce the compression ratio to 9.0:1. This hungry machine is fed with a high-capacity, anti-cavitation fuelling system, while all timing, air/fuel ratios and boost pressure parameters are now managed by a fully modifiable AEM engine control unit. Similar efforts have gone into improving the engine’s breathing and cooling systems – all of which were rigorously tested during the car’s many shakedowns at Willow Springs International Raceway. Moving to the chassis, sturdy four-pot Brembo front calipers clamp over 355mm floating discs, while the three-way adjustable Motion Control coilovers feature remote reservoirs (rear reservoirs mounted on rear diagonals of roll-cage) to increase the quantity of damping fluid and therefore reduce the possibility of fading through heat soak. Would you like to know what it feels like to lap a race circuit faster than a supercar? Watch the full 1:25.22 hot lap of Willow Springs International Raceway’s 2.5-mile ‘Big Track’ in the video below. Engine: 2AZ-FE 2.4-litre DOHC 16v four-cylinder rebuilt with forged con rods and 9.0:1 pistons, stainless steel intake valves, Inconel exhaust valves, race-spec valve springs, titanium retainers, race bearings. Engine secured on custom Hasport mounts. Custom cold air intake, Garrett GTX3076R Gen II turbo with 1.06 A/R turbine housing, custom intercooler with Garrett core, custom down pipe, water-cooled external waste gate, custom cat-back exhaust system. Custom wiring harness, AEM engine management, AEM sensors and adjustable fuel pressure regulator, race-spec fuel pump, twin oil coolers, custom race-spec radiator. Transmission: Toyota E-series five-speed manual gearbox with cryogenically hardened and polished internals, custom Hasport gearbox mounts, custom Centreforce clutch and flywheel, OS Giken Super Lock limited-slip differential, transmission cooler with fan. Chassis: 9×18” alloy wheels with 275/35 R18 Toyo Proxes RR tyres, Motion Control race-spec coilover suspension with remote reservoirs and Vogtland springs, Progress Technology adjustable rear camber arms and three-way adjustable rear anti-roll bar. 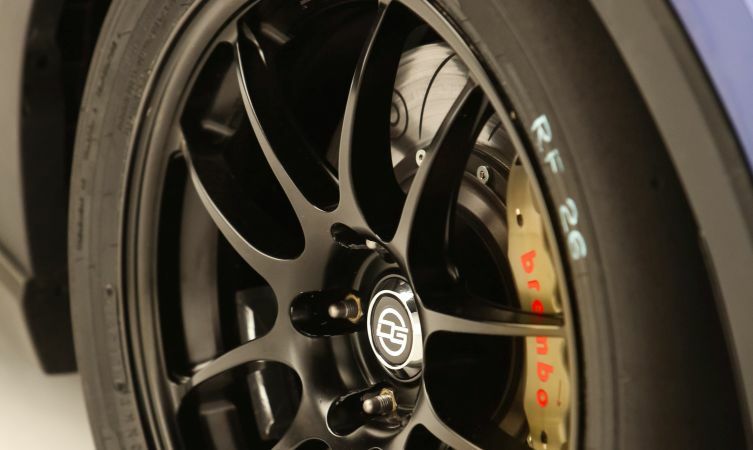 Brembo four-pot front brake calipers with 355mm floating discs and race-spec G-Loc pads, G-Loc rear brake pads, stainless steel brake lines. Exterior: Kaminari vented carbon fibre bonnet, custom front and side air dams, custom adjustable front splitter, custom adjustable rear wing with gurney flap, custom vinyl livery. Interior: custom eight-point weld-in roll-cage, Corbeau bucket seats with G-Force Pro Series six-point race harnesses, Racepak IQ3 data logger dashboard and VNET sensors. 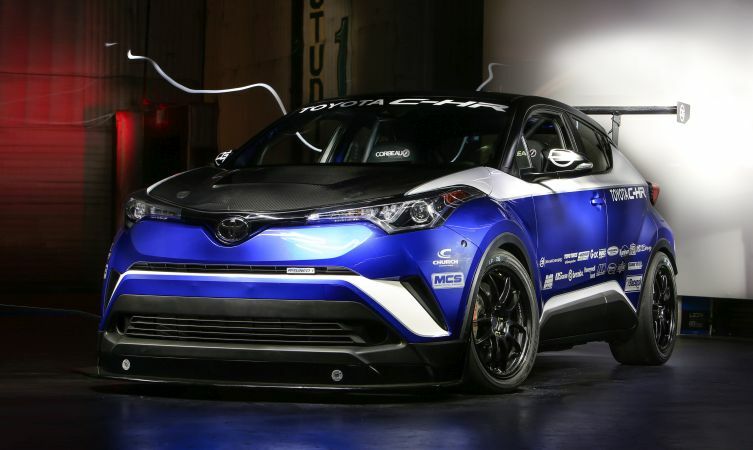 hey there I got so many infomation about toyota-c-hr-r.but when it will be avaliable to buy.I am very excited for this car. Thanks for getting in touch. The CHR is available now. If you wish to find out more information, follow the link to our website: https://www.toyota.co.uk/new-cars/c-hr/index.json.